What to Expect | East Paris Surgical Center . We understand that you may have some questions and anxiety about your surgery – everyone does. We want you to know that at East Paris Surgical Center outpatient ophthalmic surgery and laser treatment is our specialty. We will do everything possible to make you feel relaxed and comfortable. You will be contacted by the East Paris Surgical Center staff a few days prior to your surgery for pre-registration. This will provide the staff an opportunity to relay important information to you about your surgery and give you a chance to ask questions. Your physician may have ordered some pre-operative (pre-surgery) testing (such as a physical, blood test, EKG) to be completed prior to the day of surgery. In some instances, it may be up to you to have those tests completed. If they have not been completed before the day of surgery, your surgery may need to be rescheduled. You will need to see your Primary Care Physician for a Pre-Operative history and physical. An EKG and blood work may be required for certain surgical procedures. It is important that you keep this appointment otherwise the surgical center may cancel your surgery. They must have this information from your doctor. A letter will be faxed to your doctor that will outline what the surgical center needs in order for you to undergo anesthesia and where they should send the information. Please DO NOT miss this appointment. If you cannot make it on the date scheduled for you, please call your doctor’s office to reschedule. If you develop a cold, sore throat, or any other minor illness a day or two prior to your surgery, call your physician. If you are taking medication for heart, blood pressure, seizure, or reflux – you make them with a sip of water. If you use an inhaler for asthma or lung disease – you may use the inhaler(s) as directed. 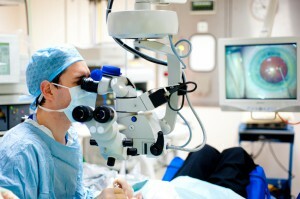 If you are having glaucoma or full thickness corneal transplant procedures – avoid aspirin, ibuprofen, Coumadin, and other blood thinners for 7 days prior to your surgery date, unless directed otherwise by your physician or it is prescribed for atrial fibrillation, heart valve disease, history of stroke or blood clots – as they increase the chance of bleeding. 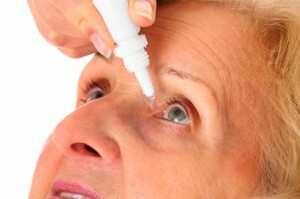 Aspirin and other blood thinners CAN be used before cataract surgery. If you need to take a pain reliever you may take Tylenol. If you have any questions about your prescription medications please ask the physician that prescribed them for you. Start taking the eye drops in the eye being operated on. If taking more than 1 eye drop, wait 3-5 minutes between drops. You will be on the prescribed eye drops for five (5) weeks after surgery. You will have an appointment at the office the day after your surgery. You will need to fill your prescription for: Prednisolone Acetate 1% Ophthalmic Suspension and use these drops according to the schedule that will be given to you at your 1 day appointment. You may NOT drive yourself home from surgery or to your appointment at our office the next day. PLEASE BRING YOUR EYE DROPS TO YOUR APPOINTMENTS. Do NOT smoke or drink alcohol the day before. Please shower or bathe the evening before or morning of surgery. Unless you have been instructed otherwise by our nurses, please arrive one hour before your scheduled surgery time to allow time for registration, nurse evaluation, and anesthesia interview. Please bring your insurance card and picture identification. If you have an advance directive please bring a copy. We do not honor advance directives or living wills. We will resuscitate, stabilize and transfer to the hospital, should an emergency arise. Leave all valuables at home including jewelry. If you wear hearing aids or glasses, please bring a case for them. Wear loose fitting, comfortable clothes. Do NOT wear make-up, cologne, or body lotion. A responsible adult must accompany you, stay for the procedure, and drive you home. 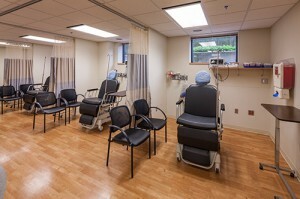 East Paris Surgical Center’s Waiting Room Offers a Comfortable Seating Area and Wi-Fi Accessibility. We try very hard to adhere to the time of your surgery, but sometimes there are circumstances that we cannot anticipate – such as a difficult case preceding, causing a domino effect to the rest of the day. Please feel free to ask the front desk is there seems to be an extensive delay. For your safety, under no circumstances will you be permitted to leave the Center alone. If you have not made arrangements for an adult companion, your surgery will be rescheduled. 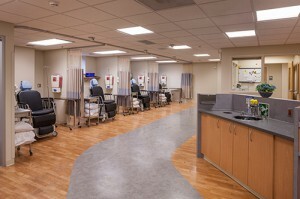 Your adult companion must remain at the Center during your procedure and must be present for discharge instructions. Monitored Anesthesia Care (MAC) – local anesthetic drops or injections are used as well as medications to make you drowsy. It is very important that you do not eat or drink after midnight the evening before surgery unless your physician or the Center’s staff gives you specific instructions to do otherwise. This means that you may take ABSOLUTELY NOTHING by mouth; no liquids, no solid food, no gum, no candy. Avoid smoking the night before and the day of surgery. If you eat or drink before surgery, your procedure will be rescheduled. Some of your medications should be taken and others should be held. The preoperative nurse will ask you the names of the medications you take and the dosages. You will be informed prior to surgery what medications you should and should not take. If you have any questions regarding your medications – please call the Center and ask to speak to one of the nurses, they will help answer your questions. After the surgery, you may be sleepy or dizzy. Plan to relax and enjoy the rest of your day. The night of surgery you will have a shield over the operative eye. You should keep the shield in place until it is removed in the office at your appointment the following day. There is no need to remove the patch and no need to put drops in the night of surgery. You may continue to use any regular medications in the OTHER eye. There is usually minimal or mild discomfort after surgery. A mild scratch sensation and tearing may occur. You may take Tylenol if needed for the discomfort. Please call our office at 616-949-2001 if you have any problems or questions. Our doctors are on call 24 hours a day, every day. If you experience any of the following problems, you should call the phone number listed above. The cost of the surgical services other than your deductible, co-pay, and/or co-insurance is usually covered by most healthcare plans. We will submit claims directly to all third party payors on your behalf; however, we expect you to work directly with your carrier to have your claim addressed. All deductibles and co-pays are due the day of surgery. We will contact you in advance to notify you of the amount. This amount is an estimate only. If you do not have insurance you must pay for the surgery prior to the surgery being performed or have made prior payment arrangements with our staff. We do accept MasterCard, VISA, Discover as well as payment in cash. If you wish to pay by check – you must submit your payment seven (7) days prior to your surgery day. The actual cost of your surgery depends upon the exact procedure(s) that are done in the operating room and any implants used. Your payment to East Paris Surgical Center is for the facility fee only. You will receive separate bills for the professional fees, anesthesia fees, and surgery center fees. In recognition of the responsibility of this Center in the rendering of patient care and our commitment to high standards of quality professional care, these rights are affirmed as the policies and practices of The Surgery Center. personal privacy, and you will be provided appropriate privacy. To translator services in accordance with policies regarding interpreter services for foreign languages or for the hearing or vision impaired. To be free of all forms of abuse or harassment. To exercise your rights without being subjected to any form of discrimination or reprisal. To be fully informed about a treatment or procedure and the expected outcome before it is performed, so that you may make an informed decision about your care. To be provided, to the degree known, complete information concerning their diagnosis, evaluation, treatment, and prognosis. When it is medically inadvisable to give such information to a patient, the information is provided to a person designated by the patient or to a legally authorized person. If a patient is adjudged to be incompetent under Michigan state law, the rights of the patient are exercised by the person appointed under such a law, to act on the patient’s behalf. If a court has not adjudged a patient incompetent, any legal representative or surrogate designated by the patient in accordance with Michigan state law, may exercise the patient’s rights to the extent allowed by law. To participate in decisions involving their health care, except when such participation is contraindicated for medical reasons. To be provided written & or verbal notice of patient rights in a language and manner that ensures the patient, representative or the surrogate understand all patient rights. To receive information about rights, patient conduct, responsibilities, and participation to ensure understanding of all the patient’s rights. To request a copy of the services available at EPSC. To be informed that you are to follow your discharge instructions for after-hours and emergency care. To be informed about fees for services, payment policies, and to examine and receive an explanation of your bill regardless of the source of payment. To be advised if EPSC proposes to engage in or perform experimental research affecting your care or treatment. You also have the right to refuse to participate in any such research projects. To be informed and, if desired, to receive a copy of the credentials of the healthcare professionals at EPSC. To receive care in a safe setting, and be free from all forms of abuse or harassment during any contact and time of care in this ASC facility. To treatment without regard to race, color, national origin, gender or gender identity, handicap or age. To change healthcare providers, if other qualified providers are available. To express grievances and complaints regarding the treatment, care, and services provided (or fails to be provided). To receive information relating to advance directives. To make informed decisions regarding patient care. To make suggestions to the East Paris Surgical Center or to the Michigan Department of Consumer and Industry Services, Bureau of Health Systems at 1-800-882-6006 or to the Health Care Financial Administration. To provide, to the best your knowledge, accurate and complete information about present health, past illnesses, hospitalization, existence of advance directives, medications & supplements, allergies, and other information relating to health status. To follow treatment plans recommended by the physician responsible for your care & to participate in your care. To accept the consequences of your own actions when refusing treatment, or not following the physician’s instructions. To ensure that the financial obligations for health care rendered are fulfilled as promptly as possible and accept personal financial responsibility for any charges not covered by insurance, applicable deductible or coinsurance charges. To follow rules and regulations affecting care and conduct pertaining to the procedures performed. To be considerate and respectful of the rights of other patients, visitors, and facility personnel and to assist in the control of noise within the facility. To refrain from smoking in the facility and surrounding areas. To be respectful of the property of other persons in the facility, and of the facility itself. To provide a responsible adult to remain in the facility during your procedure and transport you home. To provide a responsible adult to remain with you for up to 24 hours following your procedure, if your physician requires it. 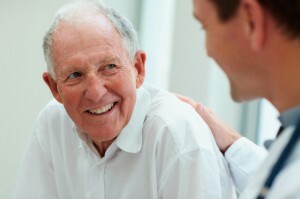 Although the Center recognizes it is the patient’s right to participate in their own healthcare decisions, it is our policy, regardless of the contents of any advance directive, that if an adverse event occurs during treatment at the Center, we will initiate resuscitative or other stabilizing measures and transfer the patient to an acute care hospital for further evaluation. An “Ombudsman” is a person who reviews the performance of an organization or program, and helps resolve problems that are found. Congress requires that Medicare have a Beneficiary Ombudsman to help people with Medicare.